This post commemorates the centenary of Orson Welles as well as the 1946 blinding of US WWII veteran Isaac Woodard. 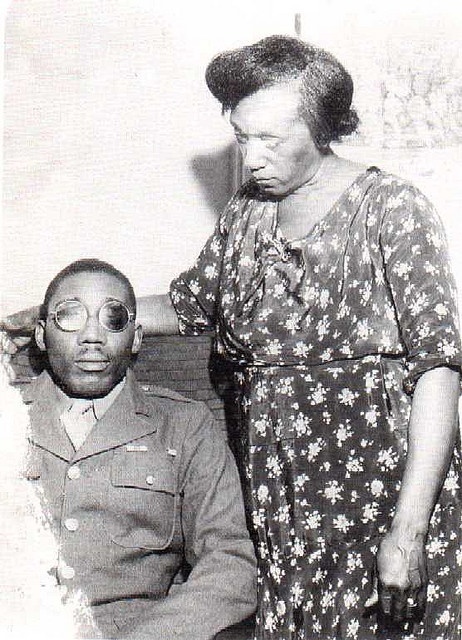 In 1946, Isaac Woodard was discharged from the US military, after serving in WWII. Hours later, while still in uniform, police asked him if he was still active military or discharged. When he replied he was discharged and going home he was beaten severely and blinded in both eyes. He was then thrown in a jail cell and denied medical treatment. He was brought before a judge and fined $50. They took all the cash he had in his wallet and were disappointed that he could not sign over his discharge paycheck to the court. He was dumped at a hospital the next town over and days later found by his family, before being taken to a veterans hospital. Orson Welles made an issue of the case in a powerful presentation on his radio program Orson Welles Commentaries, following up on it for weeks until the policeman was found and named. Soon after, Orson Welles Commentaries was cancelled by ABC radio. Welles revisited Woodard in 1955 for a television program produced by the BBC. Above episode and others at Internet archive. July 28, 1946 Orson Welles reads an affidavit sent to him by the NAACP signed by Isaac Woodard, a black veteran who was beaten and blinded by South Carolina police hours after he had been honorably discharged from the U.S. Army Welles promises to root out the officer responsible and makes the case a major focus of his weekly show. 47 August 4, 1946 Second program related to the Isaac Woodard case. Welles remarks on world peace negotiations and Congress. 48 August 11, 1946 Third program related to the Isaac Woodard case. 49 August 18, 1946 Fourth program related to the Isaac Woodard case. 50 August 25, 1946 Fifth and last program related to the Isaac Woodard case. 51 September 1, 1946 Welles is told in September that ABC is unable to continue his sustained program after the October 6 show. This incident caused US president Harry Truman to give a speech about civil rights to the NAACP in 1947, introduce a comprehensive civil rights bill in 1948, and desegregate the military. This incident puts the 2015 murder of Freddy Gray, at the hands of the police 69 years later, in historical perspective.